Chocoholics worldwide are rejoicing with the approach of Easter – looking forward to shamelessly chomping into their favourite chocolates guilt free this weekend. 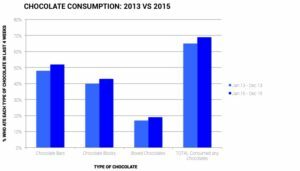 And with Australian chocolate consumption on the rise, you can be sure that chocolate retailers are just as happy. 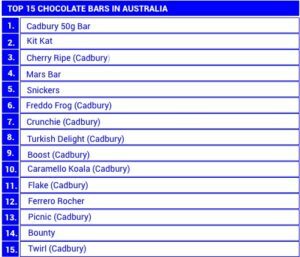 According to Roy Morgan research, Cadbury is by far, Australia’s most popular chocolate brand, taking out 10 of the top 15 most widely consumed chocolates (consumed by 53.2% of Australians). 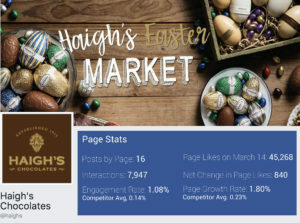 However, with the approach of Easter, Australian owned and made chocolate company, Haigh’s, is generating some serious traction on social – dominating in Engagement and Growth for the last month against some of the more prominent global brands. Haigh’s have celebrated the last 30 days with an average Engagement Rate of 1.08% (competitor average = 0.14%) and a Growth Rate of 1.84% (competitor average = 0.23%). Haigh’s strong performance on social correlates with their online sales having peaked in light of the busy Easter season with Haigh’s spokesperson, Fiona Krawczyk, predicting that they will sell over 4.5 million eggs of all sizes and 50,000 Easter bilbies. Not bad when you consider the average cost of one of their Easter Eggs is approx. $20.12 and $19.60 for one of their Bilbies, totalling an estimated sales of $91.5million (2% more than last year).